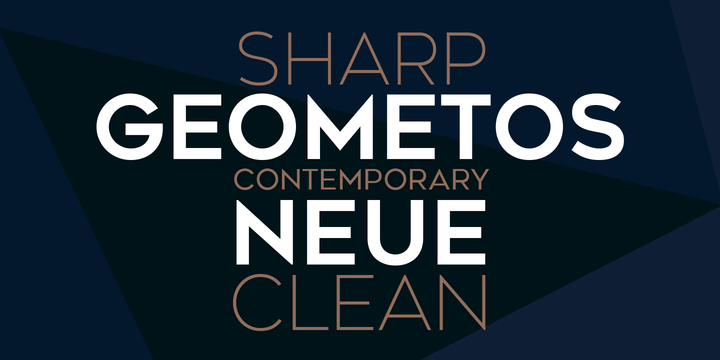 Geometos Neue is a contemporary typeface created by Deepak Dogra and published by Graphite which comes in seven weight (from ExtraLight to Ultra). This geometric sans serif font has clean and sharp foms, and it merge well on branding, packaging, headline, logo, poster and so on. Have fun! Price: starting from $17,00 for one font to $60,00 for all 7 fonts. A font description published on Monday, July 17th, 2017 in Deepak Dogra, Fonts, Graphite by Alexandra that has 3,615 views.